Founded in 1992, Cruisers has been customizing cars and trucks for decades! Our skilled in-house technicians and installers pride themselves in quality workmanship and it shows. We carry the latest products in aftermarket accessories. While we have the most popular name brands, we also carry many fantastic products from lesser known brands. We've got something for everyone! From Air-intakes to Zevo pulse lights. We're also proud to be part of the Tobey Auto Group which provides us with numerous resources not available to the 'big box' stores. Let's unleash the full potential of your vehicle! Bring it in for a free consultation or send an email to hello@cruisersoh.com. We'll need your make, model, and year, and any ideas you have. We'll reply with some additional ideas. Lynn has been the General Sales Manager of Cruisers for over 20 years. He has the experienced backed detail mind that helps customers solve their needs while saving time. Lynn's talents are unique to the industry that still requires hands on experience to keep pace with the ever changing automotive market. Cameron joined Cruisers at the turn of the year in 2016 as the new owner. 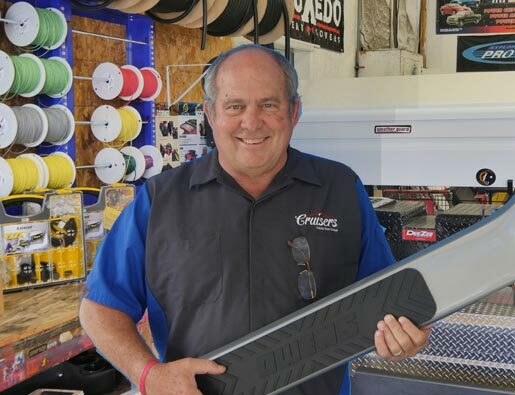 Cameron's extensive background in the automotive industry began over 20 years ago working with GM and then moving on to Chrysler, Jeep, Dodge and Ram Trucks. 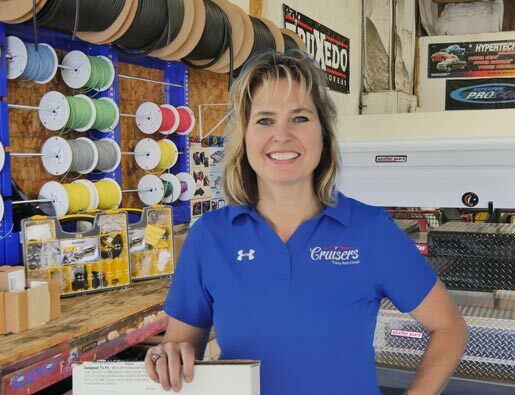 Her vast knowledge of cars and trucks provides a nice back-drop for the accessories market. James joined Cruisers in late 2017. Although he's new to our technical team he brings with him over 15 years of experience in the automotive industry and holds a certificate in Automotive Technology from the Green County Career Center. James' lifelong passion for customizing cars and trucks drives him to continue to grow his knowledge of complex electrical systems and all things mechanical.